Navigate to sunny San Diego to hear some fine algebraic geometry talks at SoCalAGS (Southern California Algebraic Geometry Seminar). It’s Saturday 13 April at UC San Diego. 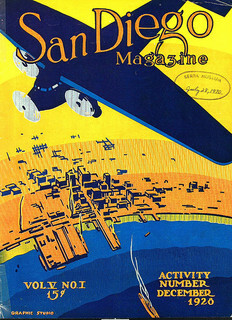 Image: San Diego Air and Space Museum Archive via Flickr Commons.